Battered forts that revealed both victory and defeat! The remains that exposed the architectural craftsmanship and sophistication! The monuments and the chambers that remained stocked with the secrets of the mighty rulers and the hallways that once echoed with the laughter of the maidens! 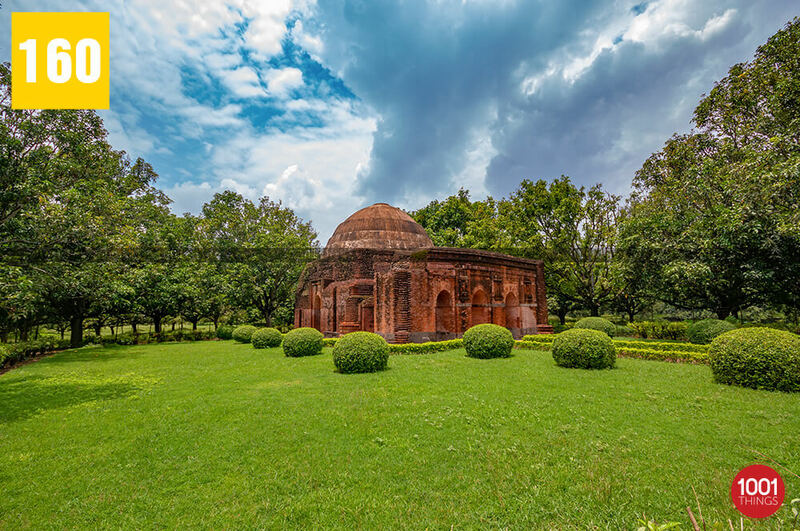 Gour, the abode to the ancient relics in Malda renders a mysterious aura that will drive anyone nostalgic! Evoking the curiosity of the wanderlusts, Chamkati Mosque in Malda renders to the call of the explorers on a quest solitude and bliss. If you also have a bent for ancient cultures and history then embark on a trip to Chamkati Masjid. Secluded from the bustle of the city life, Chamkati Mosque was constructed way back in the 14th century. Standing against all odds and time, the mosques stand as a sole witness of the bygone era. It holds mystery and intrigue in every regard. The mosque was constructed under the support of Sultan Yusuf Shah in the year 1475. 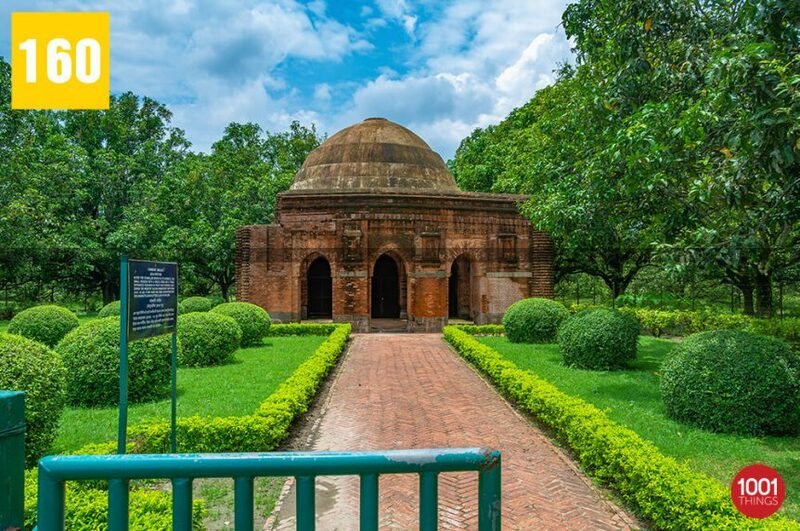 Surviving through the centuries, this 500+ years old Chamkati Masjid features a single but massive domed structure with 4 narrow doors on each side. The entire edifice is constructed with coated bricks. The walls are so solid and thick that it is difficult for heat and light to enter inside the mosque. Perhaps that is why the place also served as a prison from 1493-1519 A.D. before it was converted into a masjid. Chamkati Mosque in Malda witnesses a huge influx of historical fanatics and tourists from various regions of the world. Sadly, most of the ancient relics and monuments including Chamkati Mosque are on the brink of turning into wrecks due to their prolonged existence and negligence in maintenance. 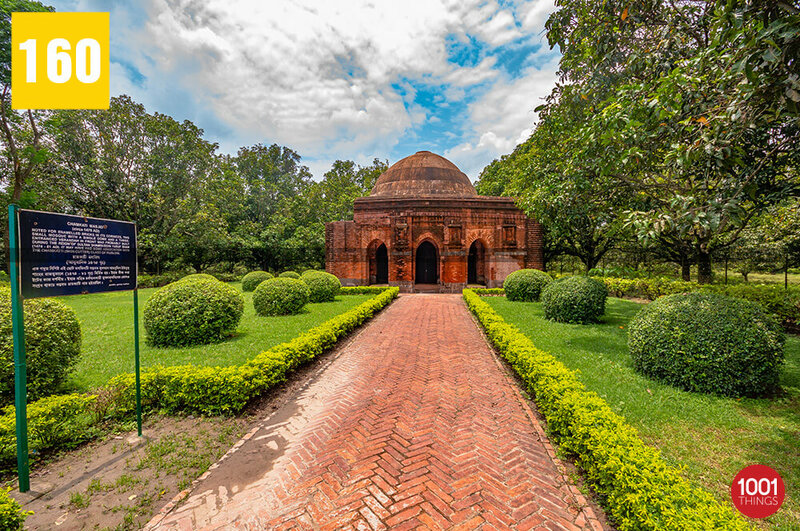 Despite being old and battered, Chamkati Mosque Malda has tremendous historical and architectural significance associated with the 14th and 15th centuries. The architectural grandeur not only provides a treat to the eyes but also provides a vivid insight into the lives, achievements, and interests of the rulers and people belonging from the period, which is centuries old. 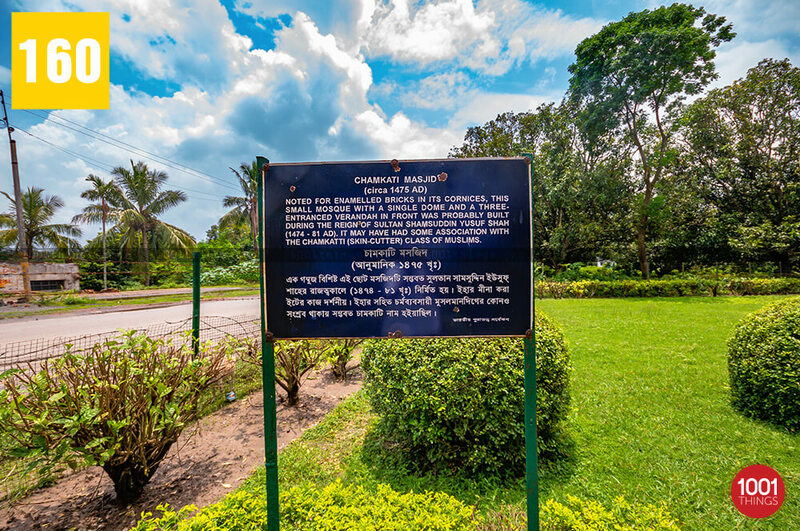 Chamkati Mosque remains as one of the notorious monuments in Indian history. Apart from other historical monuments in Gour, this architectural wonder ranks as one of the major attractions of all the time. So, if you wish to escape the bustle of city life, Chamkati Masjid is the ideal place to explore.